Welcome to the official web site of the "Dixie Diva" and thank you for your visit! 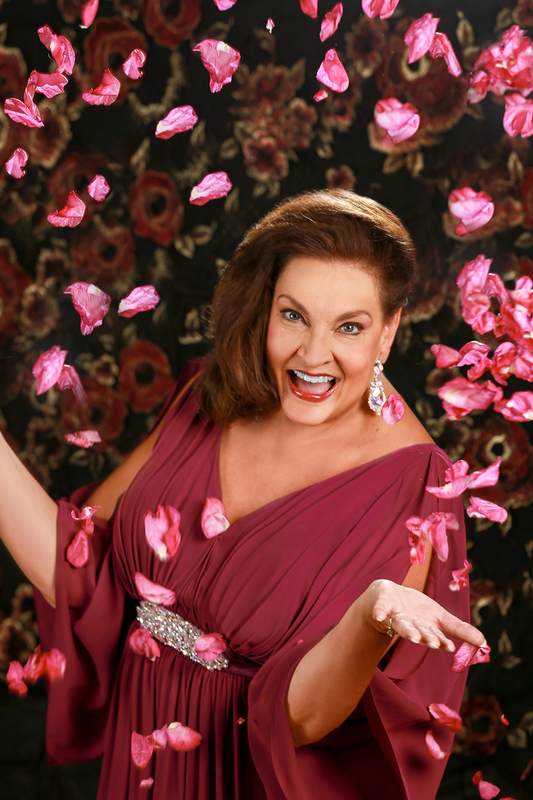 Whether you are a long-time fan of my opera or concert performances, or if you are being introduced to me for the first time, please know that I truly appreciate your dropping in and getting acquainted with me on a more personal level. I especially want to thank those of you who have been responsible for my success and who have expressed such generous support, devotion and encouragement to me around the world. I have been very blessed to meet so many wonderful people in my career travels, and I always leave a city wishing I had more time to spend with all of you. As a singer, one of my favorite sayings is "Music is Love in Search of a Word." This web site was created for my friends, colleagues and fans to share in our mutual love of music, and also as a way for me to share my love and appreciation for you. So, come on in and make yourself at home! As Carmen, I would say "Merci Beaucoup," as Octavian, "Danke Schön," as Marina, "Spasiba," but most importantly, as Vickie, in honor of Southern charm at it's best, I must say "Thank Y'all Very Much!" May God bless each and every one of you, and do come back now, ya' hear? Here you will discover some of Victoria's most frequently asked questions. She would be very interested in other questions that you may have so please send them to her. She kindly asks for your understanding that she cannot respond to all of your questions individually, but she will answer them as often as her schedule will allow and she appreciates your continued interest in her life and career! Enjoy her responses to the following Frequently Asked Questions (FAQ). Does Victoria know the 'Three Tenors'? Victoria has met two of the 'Three Tenors' in her opera journeys. She first met Luciano Pavarotti when she won the Luciano Pavarotti International Competition in Philadelphia. Luciano has worked with Victoria since, on repertoire and opera roles. Victoria's dream came true on the stage of the Metropolitan Opera when she sang Carmen opposite Placido Domingo. Since then, she has worked with him at the Washington Opera where he is Artistic Director. She has enjoyed becoming friends with Placido and his lovely wife, Marta Domingo, who directed her in The Tales of Hoffmann in Washington. She will return to sing with that company again in 2007 in The Daughter of the Regiment. How can I get Victoria's photograph and autograph? Victoria enjoys receiving her guests after every performance, by the stage door, where she signs autographs and photos. Please check with the local organization for details. You may also leave your name and a request for a photo or an autograph with the local organization prior to the performance. Of course the simplest way is to order an autographed photo directly on this web site by sending an email to [email protected]. Victoria will sign autographs as her time and schedule permits. Please be patient! How often is Victoria on the road? An opera career is not very common, and life on the road for Victoria spans approximately 10 to 11 months each year. She has agents in 7 countries that help fill in her calendar of performances. She is self-employed and travels alone, with her husband joining her frequently on the road. She performs throughout the United States, Canada, South America and Europe. Her busy schedule requires a lot of advanced planning and packing for many different cultures and seasons around the world. She has learned the art of 'living out of a suitcase' well, and stays in touch with family and friends largely on her lap top computer. Her family often flies to her performances just to see her in person. Victoria's life as an opera singer is certainly demanding, but the enthusiastic reaction of her friends and fans to her music and art makes it all worthwhile. What is the difference between a soprano and a mezzo-soprano? Victoria is a "mezzo-soprano" which lies somewhere between a soprano and a contralto for the female voice. The mezzo-soprano voice range is actually quite large, generally from a low F to a high C, but the voice is at its most comfortable range in the middle register. The timbre, or color, of the mezzo voice is often of a darker and richer quality. In opera, the characters that a mezzo-soprano portrays are equally wide ranging from heroines, royalty and gypsies to witches, mothers and 'pants' roles (such as a prince or a young boy). Does Victoria ever give master classes or teach voice? Victoria is in demand at colleges and universities around the world to give master classes to their students. She often combines master classes with her recital and concert schedule. She has been a guest artist and master class instructor for the Buck Hill Skytop Music Festival in the Pocono Mountains for the past two summers. Recently, Victoria began teaching privately in New York City as well as in Charlotte, NC, juggling her teaching schedule around her still active performance schedule. She is known for her high energy, breathing and technique based classes and finds teaching to be an inspiration! How can I find out if Victoria is singing in a city near me in the future? Please check out Victoria's Itinerary. We promise to post Victoria Livengood's entire performance schedule there as soon as it is confirmed and made available to the public. Visit us often for updated information. How can I purchase Victoria's music? Please visit the Discography page. You will find Victoria's most recent and complete recordings on this web site, with information about the recording labels and pertinent purchase information. You will also be advised of upcoming recording projects and release dates, as they become confirmed and available to the public. To purchase recordings directly from Victoria, send an email to [email protected]. You may contact Missionary Encouragers, Inc., a Florida non-profit corporation, directly by e-mailing [email protected]. Information about donations, ways that you can be involved as well as upcoming mission projects will be sent to you directly from this organization.